Stipe Miocic on Brock Lesnar's appearance at UFC 226: "Disrespectful, was a s**t show"
For Stipe Miocic, UFC 226 was the most horrible night of his professional MMA career as he as was shockingly knocked out in the first round by Daniel Cormier and lost his coveted UFC Heavyweight Championship. But it didn’t stop there, as all of a sudden Brock Lesnar made his jaw dropping return to the UFC appearing at cageside before rushing into the octagon and engaging in an intense physical and verbal tussle with the now UFC Heavyweight Champion Cormier. Some believe that the whole incident between Lesnar and DC was very pro-wrestling like. 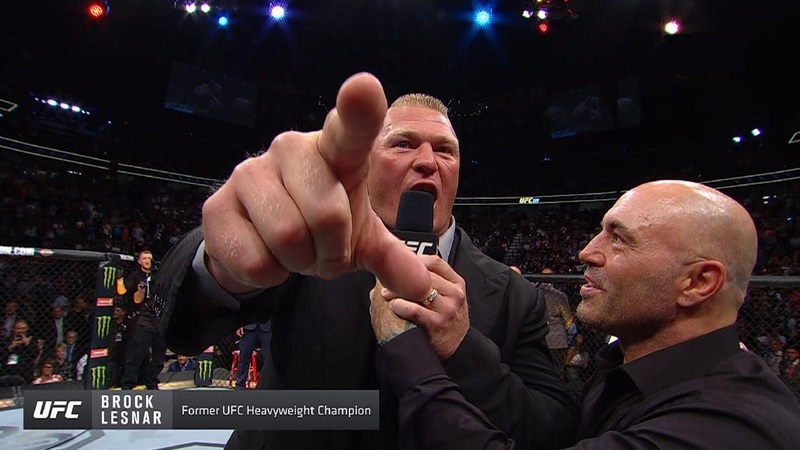 After things were eventually settled down, and the two men were separated, Lesnar got on the mic and blatantly dissed the UFC the Heavyweight Division, more specifically it’s two top contenders which included Miocic himself. Miocic wasn’t present to hear Lesnar’s verbal dig at him, as he had already left the octagon the second Lesnar stepped in and shoved Cormier letting them have their moment. Some will think Miocic would have got a kick outta seeing Lesnar and Cormier be at each other’s throats, but in actuality Miocic was livid with Lesnar’s appearance in the octagon, especially after the devastating defeat he just experienced. It was announced shortly after UFC 226 was over, that Cormier would face Lesnar next for the UFC Heavyweight Championship, the news created instant buzz as both fans and UFC fighters blew social media up expressing their candid opinions of Lesnar and being that he was getting an automatic UFC title shot after not being in the company on a consistent basis an failing drug test. Being lost in the shuffle in all of this, is Stipe Miocic himself and the loss suffered by Cormier was completely forgotten. The former UFC Champion recently appeared on ESPN and gave brutally honest views of the Lesnar/Cormier issue. Miocic is known for being one of the more humble less outspoken superstars in MMA, so his decision not to engage in the Cormier/Lesnar foolishness should be no surprise. That being said, it doesn’t mean he wanted to keep quiet for too long, as a matter of fact, he expected the chance to say his piece before Lesnar even thought about getting involved. Miocic feels, mostly like any other true mixed martial artist, that the UFC will do anything to boost PPV buys, even if it means gifting a main event spot to a fighter like Brock Lesnar who according to the record books hasn’t won a fight since his last UFC stint, which was July 2010,( Lesnar’s win over Mark Hunt was reversed to a no-contest after it was revealed he’d failed a pair of drug tests). 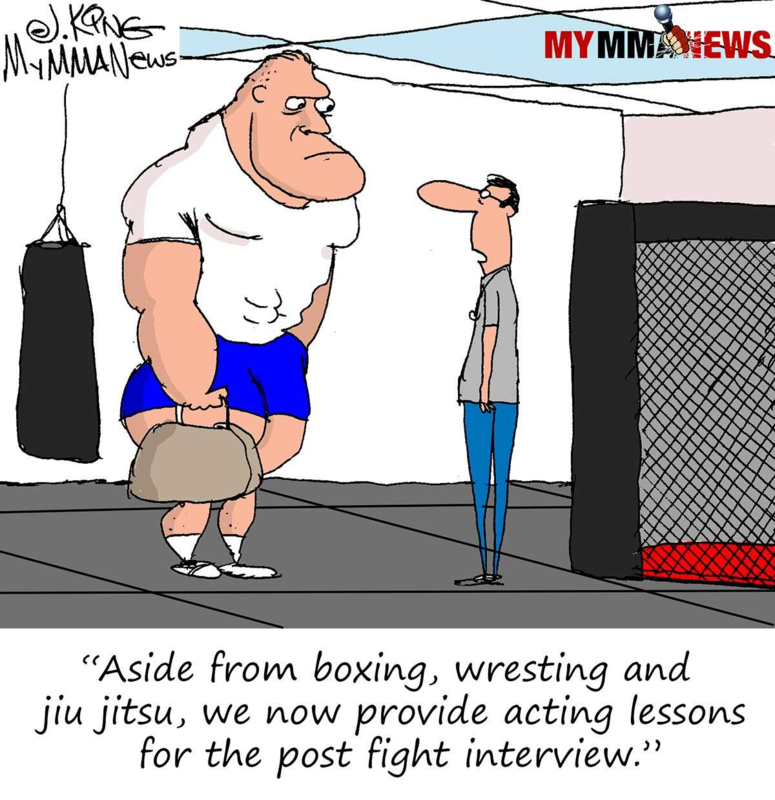 As far as his relationship with UFC Dana White goes in the aftermath of this whole situation, which no doubt he was behind for the simple fact of financial gain on the strength of Lesnar’s appearance has been virtually non-existant.